Do you know the story of Noah and the Ark by heart? Do you spend as much time in the local craft and dollar stores as the grocery? Do you have more friends under the age of eighteen than over? 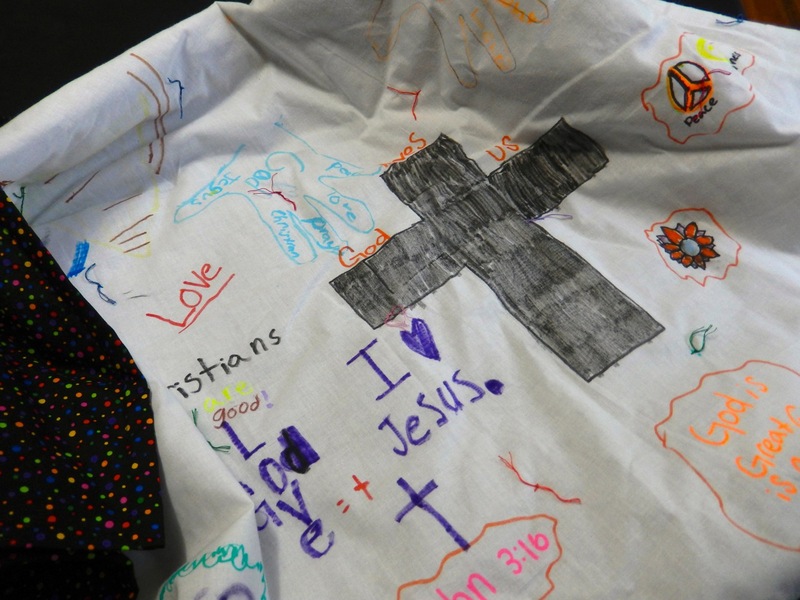 Do you wake up at night thinking of fun ways to make the Bible come alive for children? Do you have friends who are saving things like toilet paper rolls and empty two liter bottles for you? Do you look through Pinterest for ideas you can adapt from secular into “church” ideas? Do you scan the local parenting magazines for field trip ideas even though you don’t have any children living at home? Can you make unleavened bread without looking at a recipe? If you answered yes to the questions above, you are probably a volunteer Christian teacher of children and/or teens. You put in countless hours outside of the classroom, researching and preparing ways to help your students connect with God in meaningful ways. You read books about education and parenting. You search the Bible looking for scriptures that will touch your students and connect them to God and His Words. You pray. Oh, do you pray. You love those precious students almost as much as their own parents. Your fondest wish is for them all to be with you in Heaven one day. You may not get fancy presents from your students. They may never mention you in their Academy Award winner’s speech. They may even forget you entirely as they become adults and move five states away. Yet, you have made an indelible impact on each of your students. You are the one who taught them people at church loved them. You reminded them every week how much God loves them. You taught them God’s commands and principles and how amazingly important they are. You showed them how to see God in the big things and the little things. You showed them how important it is for them to read, know and understand the scriptures and how the Bible helps them make wise, godly decisions. You taught them a Church is a really big, loving family. You held them accountable for their disobedience and taught them correction is a part of being loved. You mentored them through the good times as well as the bad ones. In short, you reflected God to them in the best ways you possibly could. So thank you Christian volunteer teachers. You are the ones making an eternal difference in every life you touch. May God continue to bless your ministry and the children whose lives you touch!